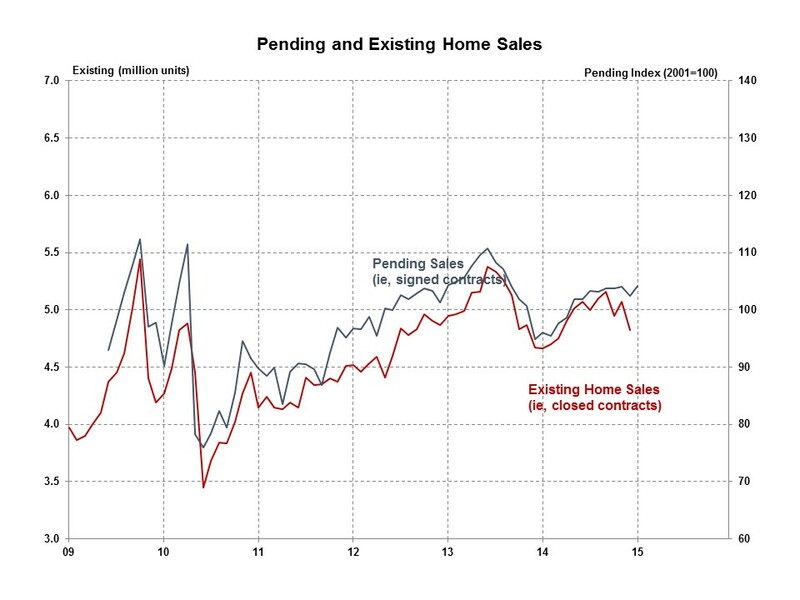 The Pending Home Sales increased 1.7% in January, and was up 8.4% from the same period a year ago. The Pending Home Sales Index (PHSI), a forward-looking indicator based on signed contracts reported by the National Association of Realtors (NAR), increased to 104.2 in January, up from an upwardly revised 102.5 in December. The PHSI increased year-over-year for the fifth consecutive month. The January PHSI increased 3.2% in the South, 2.2% in the West and 0.1% in the Northeast, but decreased 0.7% in the Midwest. Year-over-year, the PHSI increased in all four regions, ranging from 11.4% in the West to 4.2% in the Midwest. This resumption of an upward trend in the PHSI suggests that, despite a dip in January, existing home sales will improve over the next couple of months. Improved job growth will sustain the housing recovery and move it to a higher level during 2015.